The world’s best e-nails, from D-Nail, have finally landed at SmokeRigs Vapes. 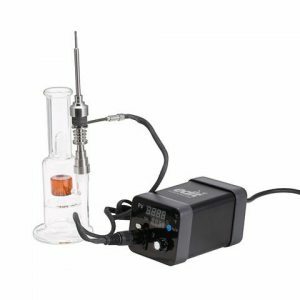 The D-Nail Digital Essential Oil Vaporizer range is considered the best of the best when it comes to consumer level e-nail setups available right now. This new 1.3 version is an updated edition of the D-Nail’s original 1. The world’s best e-nails, from D-Nail, have finally landed at SmokeRigs Vapes. The D-Nail Digital Essential Oil Vaporizer range is considered the best of the best when it comes to consumer level e-nail setups available right now. This new 1.3 version is an updated edition of the D-Nail’s original 1.2 model which was so popular that it was voted Number 1 by High Times two years in a row. 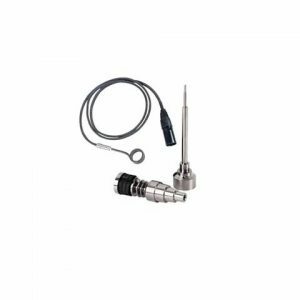 The heater coil and nail have their temperature maintained perfectly to within one degree and it is really easy to adjust thanks to the digital LCD screen which is on the front of the unit, this level of accuracy means you can completely personalize your experience to get things exactly how you like them. 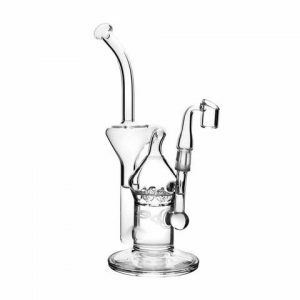 Say goodbye to the the lack of precision and smoothness that you get from a torch, no more harsh hot hits or unsatisfying low temp dab fails, the D-Nail 1.3 Digital Vaporizer kit from SmokeRigs will revolutionise your dabbing experience and bring you into a whole new world of sublime flavors and epic highs. 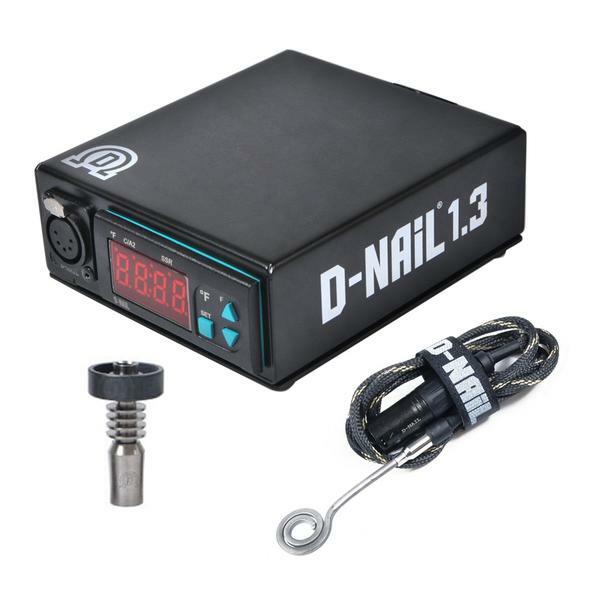 Included in the kit are a D-Nail 1.3 Digital Control Station, a D-Nail slim series nail with two different bases to make sure your nail will fit any standard joint, a D-Nail heater coil with kevlar sheath, a power cord and a full instruction manual. 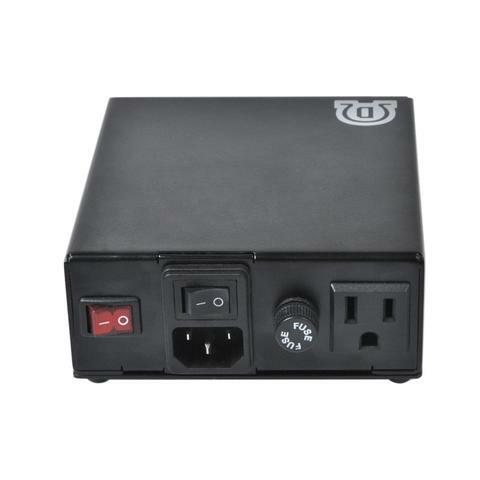 The unit is also covered by a two year warranty so you have piece of mind that it will be with you and working perfectly for a long long time. It is available with the control unit in a variety of colors which you can select from the drop down menu above.